Tiger Moth Training is based at Henstridge Airfield (ex H.M.S Dipper) on the Somerset Dorset border and does exactly what it’s title implies. 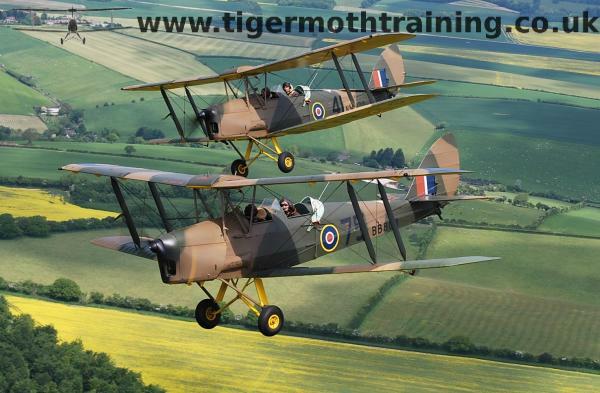 It provides immaculately restored,historic Tiger Moths and highly experienced instructors who are able to provide training for a wide spectrum of training needs catering from complete beginners to complex aerobatics and formation flying. In addition it provides flying experiences for those who do not wish to obtain a license but just wish to enjoy the thrill of flying in one of these iconic aircraft.